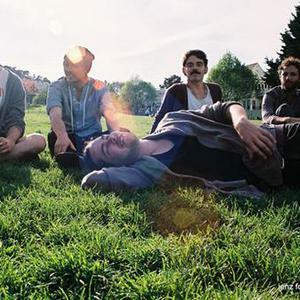 Local Natives (formerly Cavil at Rest) is an indie rock band based in Silver Lake, Los Angeles, California. After the three founding members originally met in high school, a bassist and a drummer were found, and they all moved to a house in Silver Lake in 2008 to record their album. Their debut album as Local Natives, "Gorilla Manor", was released in the UK on Nov 2nd, 2009, and saw a US release date of Feb. 16th, 2010. The band's sound has been described as "afropop-influenced guitars with hyperactive drumming and hooky three-part harmonies". They started to attract the attention of the music press after playing nine shows at the 2009 SXSW festival in Austin, Texas. Initial reviews of Local Natives have drawn favourable comparisons to Arcade Fire, Fleet Foxes and Vampire Weekend.